Access the Adirondacks proposes a Wild Forest clasification for Boreas Ponds and Macintyre Tracts. 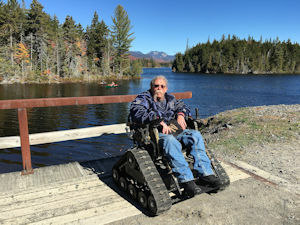 Ask the Governor and APA to classify Boreas Ponds and Macintyre tracts wild forest to allow reasonable access for all, including individuals that are disabled, physically challenged, young families and others. 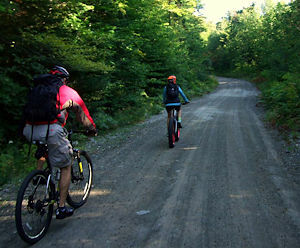 A wild forest classification will allow additional forms of recreation such as snowmobiling and bicycling which is not allowed in wilderness. March 20, 2018 - Governor Cuomo signed the Adirondack Park Agency's classification of the Boreas Pond Tract and several other parcels. Click here to read the press release. Now, the UMP (Unit Management Plan) process begins. This will determine what and where recreational opportunities will be allowed on the property consistent with the classification. A public meeting is scheduled for April 3, 2018 at 6:00pm at the Newcomb Central School. We encourage everyone that is able to attend this meeting and let DEC know we want the maximum access allowed under the classification. Access the Adirondacks has been awarded the New York State Conservation Council's Conservation Advocacy Award for 2017. The Council's notice is available in PDF format by clicking here. 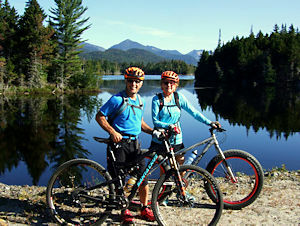 Access The Adirondacks consists of a diverse group of recreational users supported by local municipal leaders that share one common goal: reasonable access for ALL to the Adirondack forest preserve. This goal is perhaps best outlined in our MOU, available as a PDF file by clicking here or on the menu above. Visit our Facebook page for our latest news and updates. Your browser does not support the video tag. Consider updating your browser. Download the video by clicking here. Video: The Boreas Ponds Property: You Ought to See It! 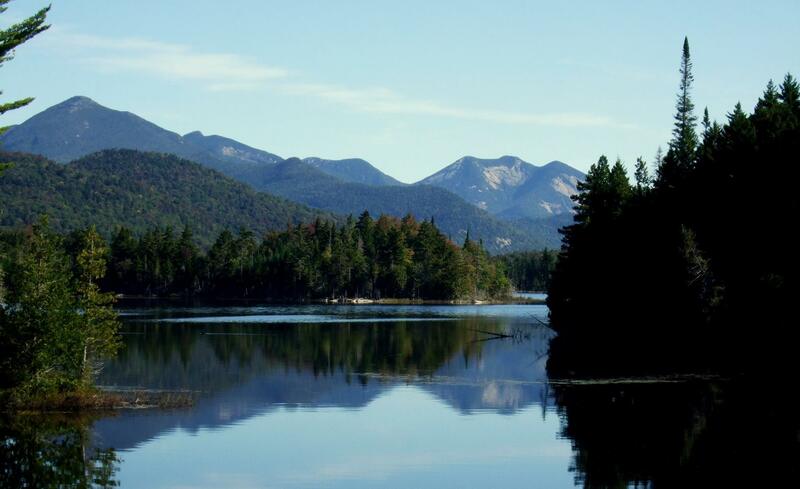 This spring Governor Cuomo announced the purchase of the 20,578 acre Boreas Ponds tract from The Nature Conservancy. This purchase completed the planned acquisition of 69,000 acres of former Finch Paper and other Nature Conservancy lands. When announcing this acquisition the Governor said opening these lands to public use and enjoyment for the first time in 150 years will provide extraordinary new outdoor recreational opportunities, increase the number of visitors to the North Country and generate additional tourism revenue. 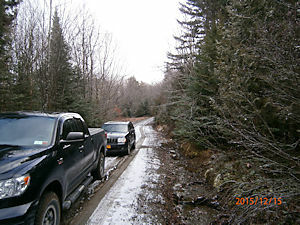 Soon the Adirondack Park Agency is expected to begin the process of classification for this tract of land. However, to achieve the Governor's stated vision, this classification must allow reasonable access to these new lands. Historically APA classifications and the subsequent Unit Management Plans for previous acquisitions have resulted in lands only accessible to a select few. Consequently, it is imperative that these tracts be appropriately classified as wild forest. 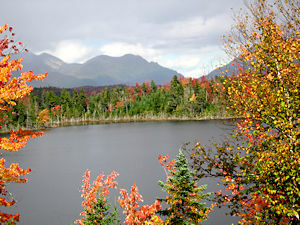 While some would have you believe the Boreas Ponds Tract is a "unique ecological jewel untouched by man", nothing could be further from the truth. 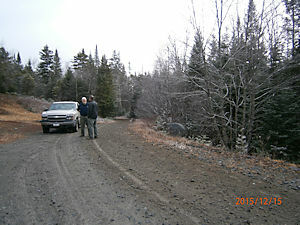 As former Finch Paper land, the Boreas Ponds Tract had been logged for decades. It has an extensive network of roads and bridges designed for heavy traffic capable of handling heavy log trucks and other equipment. 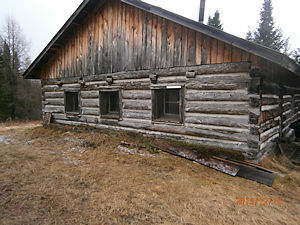 The ultimate ATVs, log skidders, were used throughout this property to harvest timber. The pond, while serene and beautiful, is not at all natural, rather it was created years ago by a large concrete dam at the outlet of a swamp. The bridge over the outlet is pictured to the left. 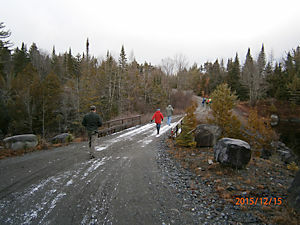 Ironically, some of the groups advocating for a wilderness classification also believe the dam, and road to it, should remain and be maintained in the future. Go figure!! While we agree the dam and road should remain, both are further justification of a wild forest classification. One thing that does make this tract somewhat unique compared to other state acquisitions is that this land was once home to the Boreas Pond Lodge. Finch Paper used the lodge as a retreat for executives and guests. The 8 bedroom lodge had a magnificent great room and full kitchen facilities. It was located such that it provided stunning views overlooking the pond towards the high peaks. With the state's acquisition adding this to the forest preserve, the lodge became a non-conforming structure and it was removed this summer. The now vacant site would be the perfect location for some yurts for a hut to hut trail system. 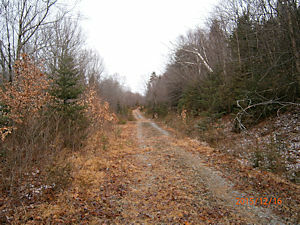 Like Boreas Ponds, the Macintyre Tracts have an extensive network of roads previously used for logging. These roads on both tracts will make excellent trails for snowmobiles, bicycles and equestrian riders. They require no tree cutting and will last indefinitely with only routine maintenance. But that won't happen with a wilderness classification as wilderness eliminates motorized and bicycle access. Consequently, we must advocate for a wild forest classification. If you are so inclined, we have put our petition on the site here so you can circulate it among your family and friends. A wild forest classification will allow for a, hopefully, well crafted, reasonable Unit Management Plan that will provide for common sense access for a wide variety of user groups. This is critical for local governments and others to realize the Governor's vision of increased visitors and tourism revenue resulting from these acquisitions! The public hearings are complete. Now it is time to submit written comments to the APA. If you haven't done so yet, please submit your comment by clicking here or to the address below. If you have already submitted a comment, Thank You. Please encourage your family and friends to submit comments as well. Written comments must be received by Dec. 30, 2016. Your voice, combined with like minded people, can make a difference.